Why limit your production with a small print bed? The new Stacker S4-XL uses closed loop servo motors to drive your creations within a 24 cubic inch build area! 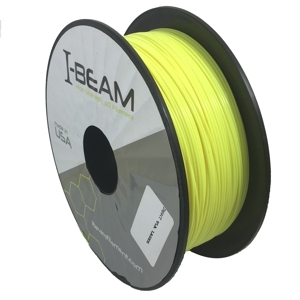 STACKER offers a large selection of premium I-BEAM 3D printer filaments in both 1.755MM and 2.85MM diameter in a variety of colors and weights. if you're into 3d printing, you've come to the right place. stacker has you covered! 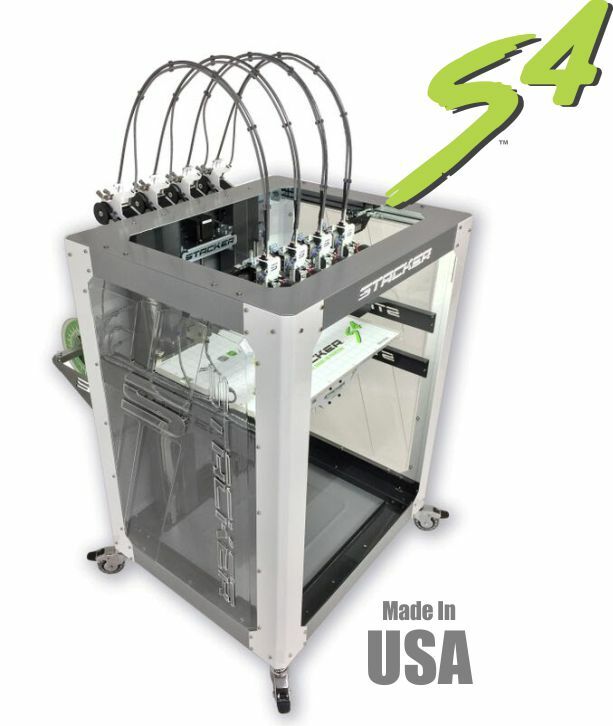 STACKER S4 Industrial Grade 3D Printer. From Prototype to Production™ the S4 has you covered! STACKER S2 Industrial Grade 3D Printer. Two Heads are better than one! STACKER Industrial Grade 3D Printers are purposefully built to move ideas from prototype to production. 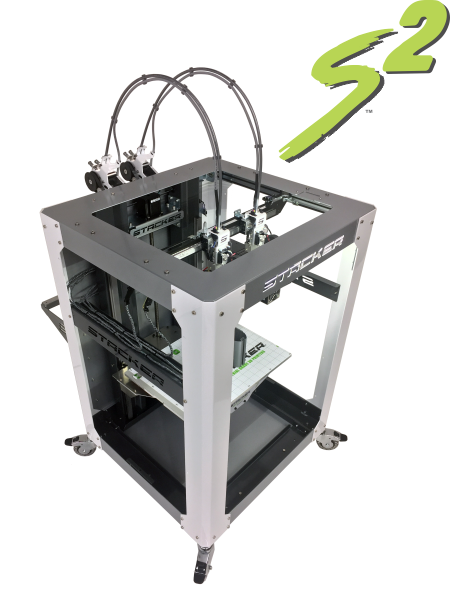 Our Industrial Grade 3D printers are designed and priced for small businesses, tech labs, colleges, busy offices, maker spaces, print/prototype shops, manufacturing plants, and most other kinds of businesses. Our printers offer fast, reliable, and affordable 3D printing. Why Do We Call It 3D Printing? We are all familiar with two-dimensional printing when using an inkjet and laser printer. But did you know that you are actually printing a 3D object? Even though the amount of ink or toner that is spread over the paper is really really thin, it is a 3D object because the ink or toner is slightly raised on the paper. 3D printing uses the same additive process, but instead of printing a single layer, the 3D printer stacks thin layer upon thin layer until a recognizable three-dimensional is object created. Just like regular printing, the instructions for a 3D printer are contained in a digital file. These three-dimensional digital models used by a 3D printer are typically created with computer-aided design software (CAD), but digital models can also be created by using a 3D scanner. Also, thousands of 3D models are now available for download from the internet. The process STACKER 3D printers use is called Fused Filament Technology (also known as FDM) whereby the 3D printer stacks successive layers of melted thermoplastic filament to build the 3D object. How Does Fused Filament Technology (FFT) Work? 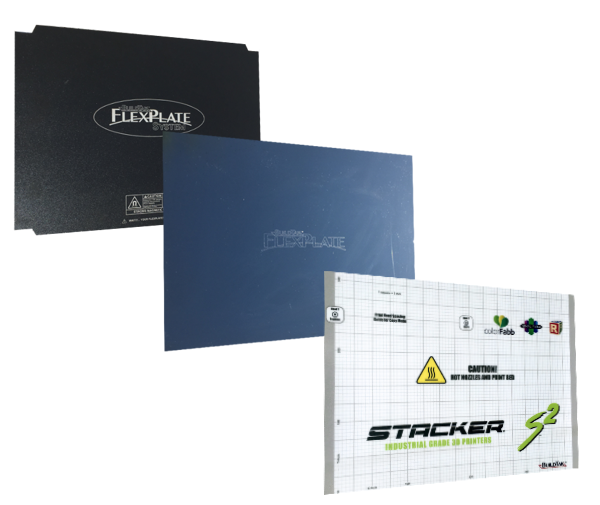 STACKER printers build parts layer-by-layer from the bottom up by heating and extruding thin layers of thermoplastic filament through a hot end onto the print bed. The complete printing process is as easy as 1-2-3! Pre-processing: Import your digital file into our software (StackerRUN or Simplify3D) to position and slice your three-dimensional model into layers. The software generates a special GCODE file that the printer uses to create your part. Production: The 3D printer heats the thermoplastic filament to a semi-liquid state and extrudes it onto the print bed. Each layer of filament gets fused to the previous layer. If support structures are needed, these are also printed by the hot end at the same time. Post-processing: The user simply removes the part from the print bed and then breaks away any support material. Now, the part is ready to use! Why Use Fused Filament Technology (FFT)? You can design your parts with incredibly complex geometry and still print them, something most subtractive manufacturing methods struggle with. No more thick wall limitations to your thermoplastic parts. Unlike injection molding, which work best with thin wall sections, now you can design incredibly strong parts in almost any size. FFT parts can be thin or thick. Perfect for investment casting molds because the filament is easily and quickly burned out of the casting molds. Produce molds much faster and usually for a lot less costs than traditional methods. For small to medium manufacturing applications this printing technology can be a very cost effective solution. All STACKER 3D printers are proudly made in the USA using the only the finest materials and components. The key to high performance 3D printing is having a chassis that is beyond rigid while also absorbing unwanted vibrations. This is where design and engineering cross paths. Our chassis is formed with special AC Servo driven presses that are unmatched in precision repeatability, as well as maintaining the integrity of the steel during the bending process. Most parts are formed on the most advanced and modern CNC presses by Trumpf. All parts are powder coated, not painted. Powder coating is much more environmentally friendly, and much more durable. All S4 printers are built around a massive high precision custom building jig. In fact, the S4 chassis and building jig were designed together. That’s how important it is to get things right. Essentially, the building jig ensures the X/Y plane is in the correct relationship to the Z plane. This is a lot easier said than done, and most other printers have no way of gauging this short of making a test print. All STACKER 3D printers are proudly made in the USA using the only the finest materials and components. In fact, nearly every component on your STACKER 3D printer is produced locally by shops that take extreme pride in the quality of their goods. All our vendors must pass a vigorous environmental and safety review process, and most all are ISO9002 rated. From these superior components, our assembly crew hand builds every unit using precision building jigs and other tools to ensure each printer is built right every time.